Nothing reminds me of my mortality like my favorite 90’s grunge musicians passing away. I have yet to experience the loss of an immediate family member or friend (knock on wood), so the passing of Chris Cornell shook me up. His music is nothing short of nostalgic and has always reminded me of growing up in Smyrna. Reading of his passing absolutely broke my heart Thursday morning. I couldn’t believe it, especially with Soundgarden touring. They should have played the Fillmore tonight in Denver. So much for that. When Scott Weiland of Stone Temple Pilot died, I was equally distraught. STP is probably my favorite band of the early 90’s, but I would undoubtedly place Soundgarden in my top 5. Layne Staley left this Earth before I even knew who he was–I knew all about Alice in Chains but at 14 years old, I didn’t acknowledge his passing in 2002. All I know is his voice has resonated with me since I was five years old. Same goes for Chris Cornell; we lost an amazing vocalist last week, and what a shame it was that he took his own life. We may never know whether his “suicide” was purposeful or not. Research indicates it is difficult for coroners to differentiate between purposeful suicide and accidental death, whether it be by prescription medications or hanging. Further complicating matters, some deaths are ruled “inconclusive” when in fact, the person did commit suicide. This isn’t just an issue in the United States; many other researchers in Europe are skeptical of the accuracy in suicide reporting, as well. None of us will never know Cornell’s intentions, and it’s challenging to prove Cornell’s Ativan use influenced his decision to hang himself. At the end of the day, we are left with questions that we may never receives the answers to. 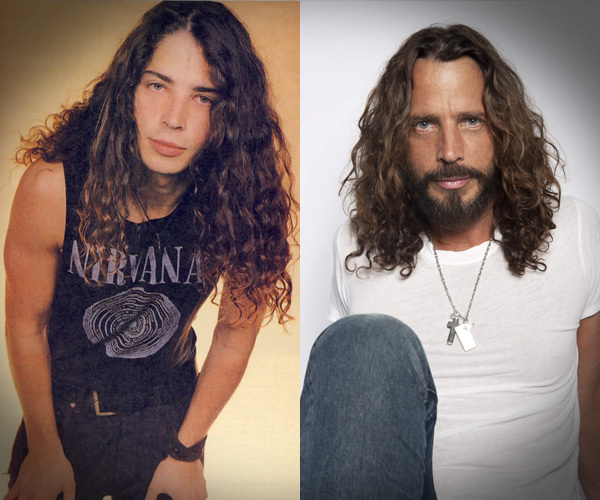 From Soundgarden to Audioslave to Temple of the Dog, Cornell left us dozens of songs to enjoy in the wake of his untimely passing. I can’t tell if listening to Soundgarden all weekend has made me feel better or worse. Either way, I’m just grateful for the tunes he left behind. On a lighter note, Black Hole Sun marks the first music video I can ever remember watching. I cried, because the inflated facial features terrified me, and honestly, it’s just a weird video. Now that I’m older, I appreciate the vibe of it all, because it captures a decade I terribly miss. So here’s to another legend moving on to God only knows what. I’m sharing a few of my favorites from Cornell’s bands plus reactions to his death and some interviews through the years.